I mixed this cocktail for the first time with a bit of trepidation. Chocolate, lemon, gin and aperetif wine, really? I’m happy to report that someone had a lot more depth of cocktail thought than I do. I never would have guess that this combination would taste so good. But taste good it most certainly does. I started my journey with the recipe from Dr. Cocktail’s Vintage Cocktails and Spirits (1 1/2 oz Gin, 3/4 oz Lemon Juice, 3/4 oz Creme de Cacao, 3/4 oz Lillet Blond). This recipe proved a little too sweet for my palate so I transitioned to the Joy of Mixology recipe instead (1 1/2 oz Gin, 1/2 oz Lemon Juice, 1/2 oz Creme de Cacao, 1/2 oz Lillet Blond). The interplay of flavors in this cocktail is unlike anything I’ve had before. On the front of the flavor curve you’re going to taste the citrus from the lemon juice and the Lillet. The herbal notes of the Lillet are going to come next mingled with the herbal notes of the gin. Finally as the curve tapers off you’ll get a hint of chocolate from the creme de cacao. Cutting down the sweetness was just what the doctor ordered. Truly a unique and delicious cocktail experience. Some notes to keep in mind. I tried Plymouth gin at first but found its flavors to be too light for this application. I chose Tanqueray next and that worked out well. This is another instance where I wonder what the impact of the original recipe Kina Lillet would make. Certainly there would be some added bitterness, but that might play really well with the sweetness. 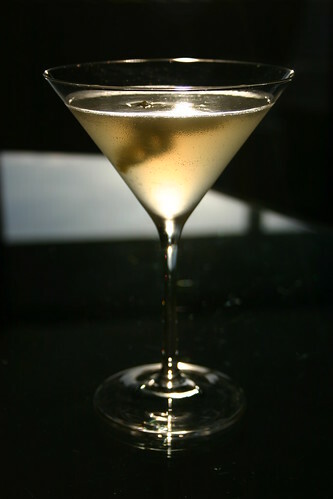 Finally, I ran across a recipe in Difford’s Guide that called for the use of dry vermouth instead of Lillet. I mixed it up and found the cocktail to not be nearly as good. The drink was much drier and not particularly well balanced. Love the 20th century. Because the Trophy Wife ™ is averse to juniper, I make with equal parts (3/4 ox) for all ingredients. But I don’t know where people keep getting “Blond”. I’ve always known it as Lillet Blanc (or Lillet Rouge), but don’t think that it’s “Blond” in any official capacity.